A British Columbia tenant won a monetary award against her former landlord after the landlord tossed her out without an order for possession. The landlord applied to evict the tenant just two weeks into the tenancy. The tenant claims to have paid rent and a security deposit, but the landlord denied receipt of these payments. The landlord’s application to evict was dismissed, but the landlord proceeded to remove the tenant’s belongings from the unit with the help of friends — and the police. The items, including a 50″ television, two Xbox game consoles and a child’s toys and furnishings, were placed in the front lawn of the property. The tenant was present during this self-help eviction, and her protests caused a disturbance. She was arrested and taken away by police. After the tenant returned, she picked up some of her more expensive items, but left the rest in the front lawn, according to the landlord. The tenant brought an action to recover the loss of her possessions, which she claimed were valued at $6,000. However, the tenant did not properly serve her packet of evidence on the landlord prior to the hearing. As a result, the tenant’s documentary evidence was not considered in the matter. The landlord provided a series of photos of the tenant’s items after they were placed in the front lawn. Both parties also testified as to the nature of the items. Using that information, it was determined that the items were worth $1,765, and the landlord was ordered to pay the tenant that amount. 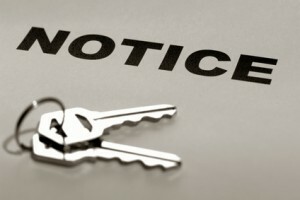 The tenant’s claim for return of her deposit was denied due to the lack of evidence that she paid it to the landlord.